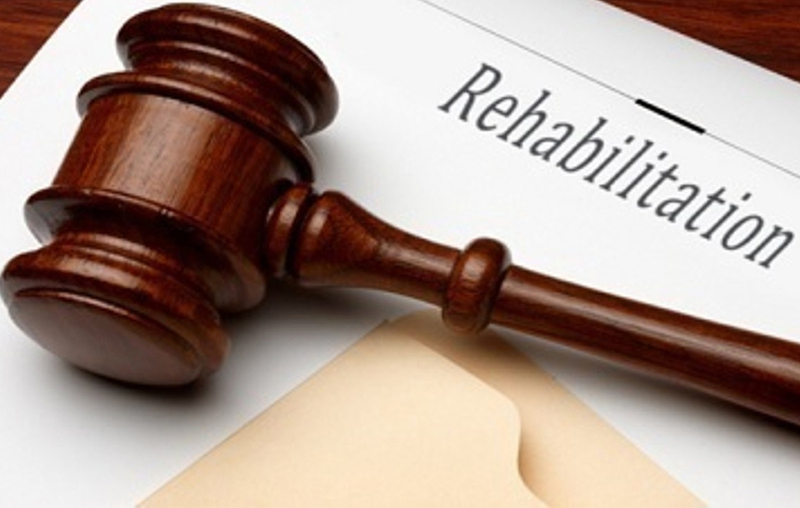 The criminal rehabilitation procedure in Italy allows persons who have been convicted of a crime by a judgement having the force of res judicata or by criminal judgement not objected to request, to obtain deletion of offences from the italian criminal record and subsequently discharge of the offences, provided that certain requirements are met. The request for criminal rehabilitation in Italy may be submitted by the party concerned in person or by his/her lawyer whose assistance is essential during the trial. The party concerned may submit a request of rehabilitation in regard to some specific convictions (this is know as partial rehabilitation) or in regard to all recorded convictions. The Italian competent authority that makes the decision on the request for rehabilitation is the Supervisory Court of the place in which the judgement or the final criminal conviction decree seems to have been issued. - the party convicted has effectively and constantly provided evidence of good conduct. In case of crimes committed by repeat offenders, the term is eight years, and in case of habitual offender, professional criminals or persons with a criminal tendency, the term is ten years. - has failed to fulfil his/her obligations of compensation derived from the crime, unless he/she demonstrates to be unable to fulfil those. The useful benchmark from which to calculate the time for submitting application for criminal rehabilitation in Italy runs from the date in which the conviction has been executed or has been declared extinguished. Where a suspended sentence has been granted, the starting point begins from the same moment in which the period of suspended sentence begins. After filing the motion for criminal rehabilitation, the preliminary phase begins and it is managed by the Supervisory Court. Once the preliminary phase is terminated, the Court schedules a hearing for debating. The party concerned is notified on the scheduled date for the hearing. At the end of the hearing, the Court makes decision on the application by order which will be notified to the party concerned and to all the relevant Offices, including the Office for Criminal Records. Many are the cases in which a foreigner discovers to have been convicted of a crime in Italy, and because of this conviction he/she is subject to negative consequences for his/her own life. The rehabilitation of foreigners is of great importance, for instance, in regard to procedures for granting of the Italian citizenship or for release of the Italian long-term residence permit. In such circumstances, it is always preferable to be assisted by a criminal lawyer, who not only formulates the motion, but is also capable to correctly identify which documents to attach to the motion in order to prove the existence of all suitable factors to demonstrate the essential requirement of “good conduct”.